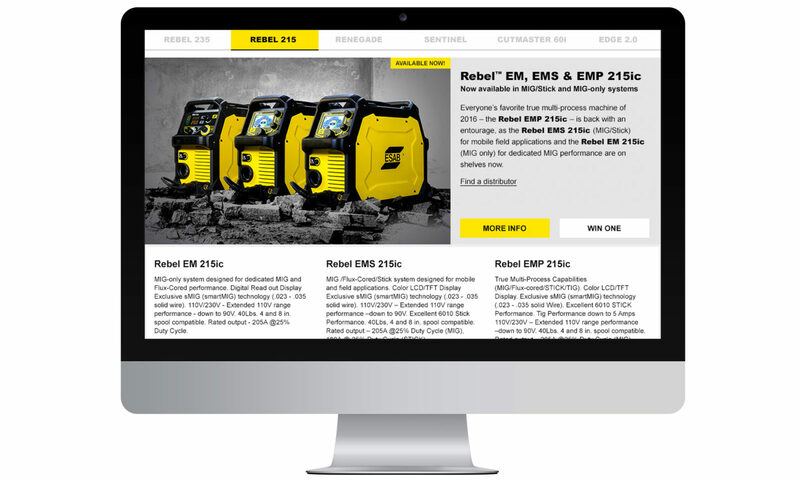 Fall is tradeshow season in the world of fabrication, which means two things: It’s a buzzing market and it’s the perfect platform for big announcements. 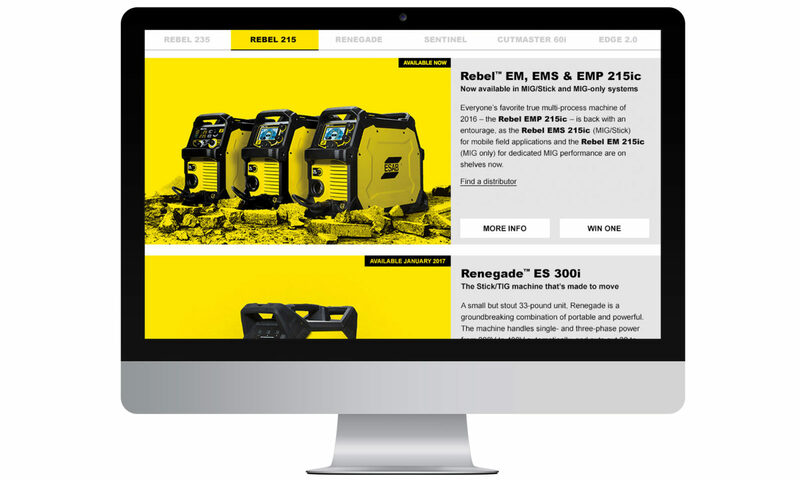 And in the fall of 2016, our client ESAB Welding & Cutting had some huge news. They’d be releasing a monumental lineup of new products – eight, to be exact. 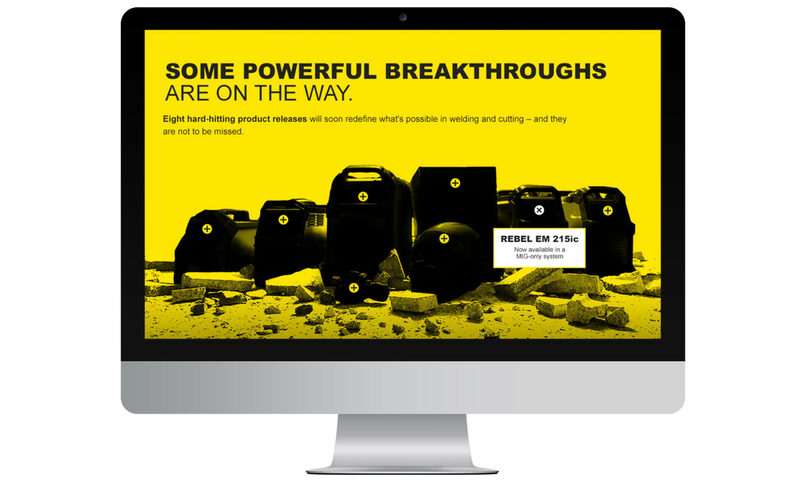 Our challenge was to create a cohesive campaign that would break through clutter and fuel unheard-of levels of hype. As we learned about the otherwise-disparate group of products, we found some connective tissue: Each one was built with breakthrough technology. We harnessed that fact into a powerful package that would overwhelm the market – and our competitors – with an avalanche of innovation. We took a two-stage approach that included a teaser campaign to generate preshow buzz and a launch campaign deployed on the tradeshow floor. 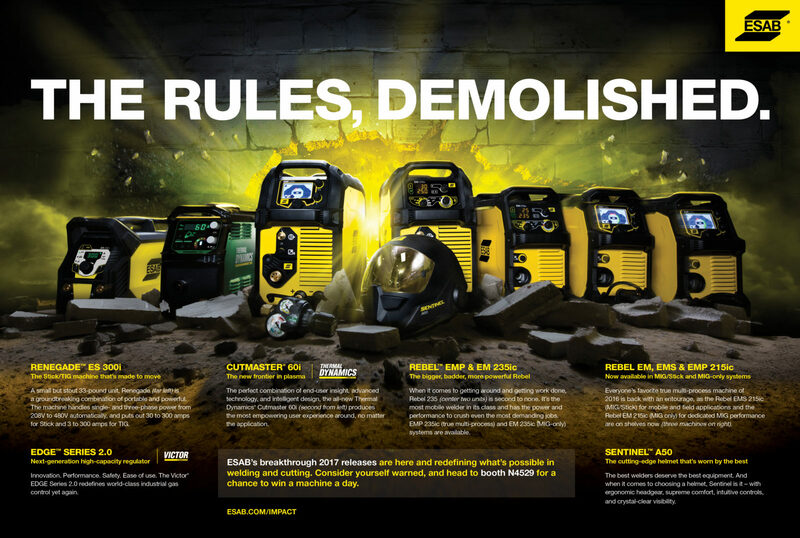 The vibe inside the tradeshow booth was electric, foot traffic was the best the team has seen in years, and ESAB’s machines were demoed more than 650 times – double that of the year prior. 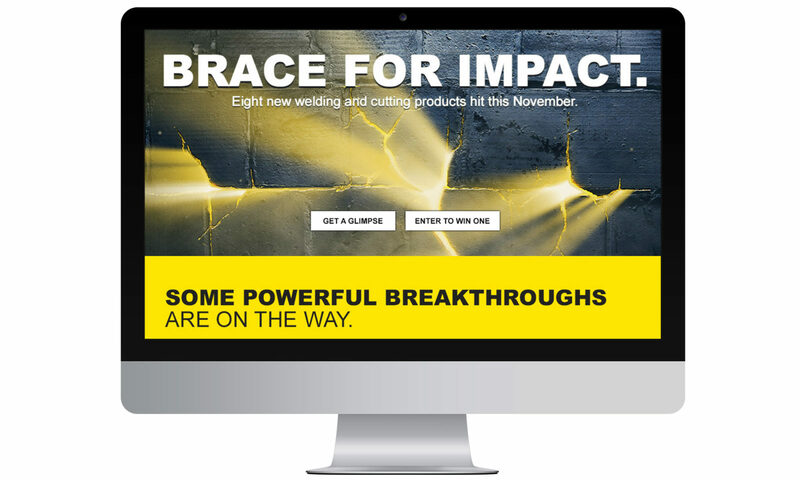 Online, the campaign landing page’s conversion rate hit 20% during the Fabricator’s Choice Sweeps, in which welders had a chance to win their choice of the new releases. 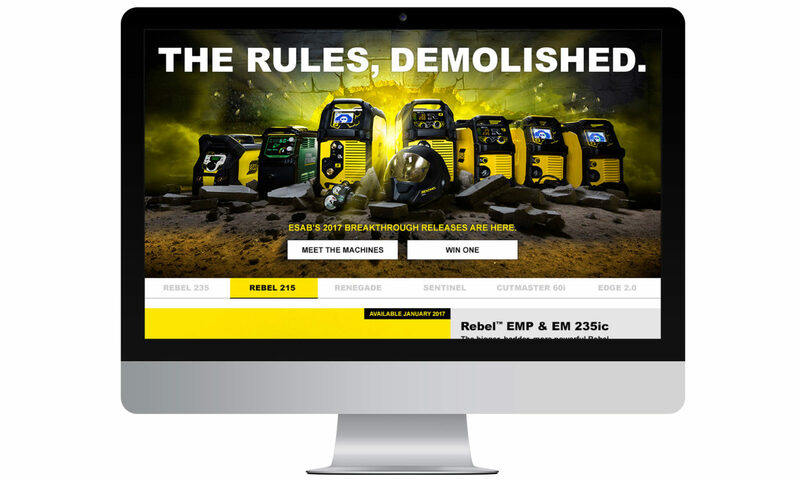 ESAB’s social surged as well, tacking on 5,000 new Instagram followers, 60,000 Facebook likes, and 110,000 views on video content over the course of the campaign. 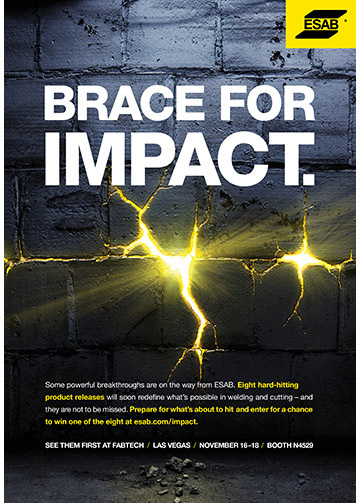 The resulting momentum had ESAB ready to roll out targeted, product-specific campaigns throughout the spring season and beyond.